Lots of classes coming up in August I thought I would take today to share the details. Be sure to RSVP your attendance. A couple of the classes have product included in the class fee so be sure to register prior to the deadline to ensure product arrives on time. As always, let me know if you have any questions. 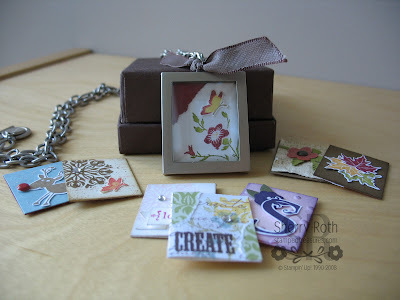 This is a monthly card class, great for beginner stampers and experienced stampers. 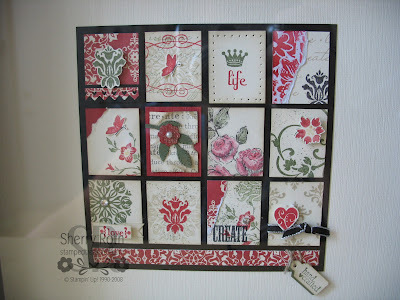 We will create 3 cards using the latest Stampin' Up! product. Class fee is $15 and includes all supplies, including envelopes. Please RSVP by August 15th. 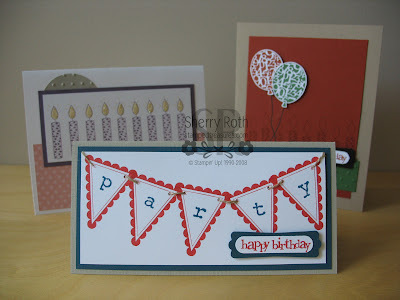 Come create 4 birthday cards using the stamp set Party this Way (page 53). 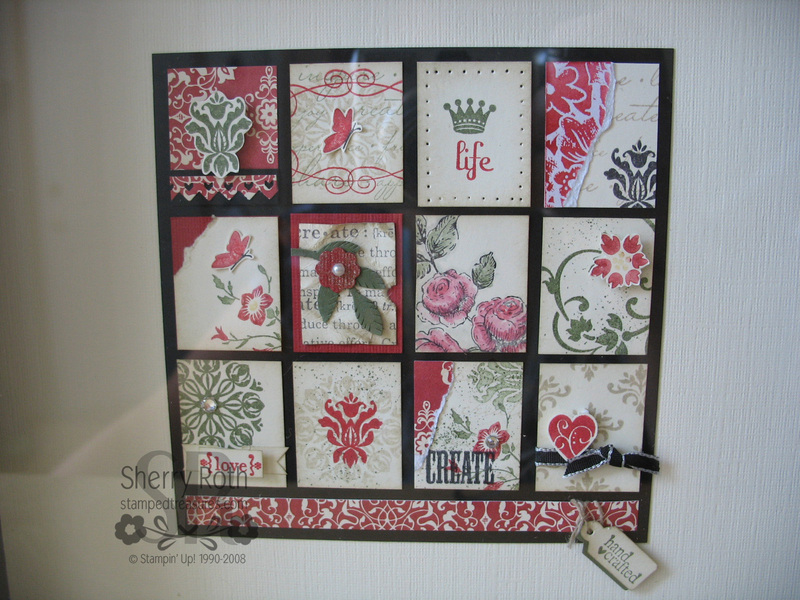 The class fee includes the stamp set and supplies to create all 4 cards. 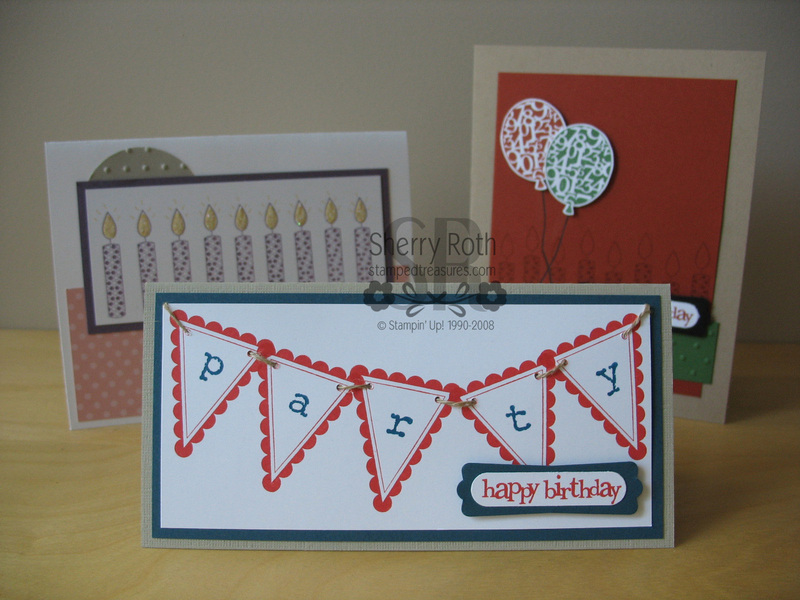 Want to make more than 4 cards - each additional set of 4 cards is only $5. This is a great class to introduce your child, niece, nephew or grandchild to stamping! Let them try something new and spend some quality time together! Payment and registration must be received no later than August 6th so that supplies can be ordered. Please specify clear/wood mount and class preference when registering. Finished cards are available for purchase at $20 per set of 4, plus $4.95 for shipping if required. Have you see our Simply Adorned line yet? These are the perfect showcase for your artistic talents! At this class you have the option to create 10 inserts for your Simply Adorned charm or create the beautiful insert for a 9x9 frame shown above, which is made from inserts for the charm! If you don't already own a charm, add it on to the class fee and you will save 20% on the charm. Purchase the chain as well and your class is FREE! These make wonderful gifts! Consider it as a birthday gift for that special someone or get a head start on your Christmas gifts. I will have a couple samples of other ways to use these items as well. This will be a great class, hope you can join us! Payment and registration due by August 13th if ordering the charms. To register for any of these classes simply email me with the class, time and method of payment and I will add you to the list. Thanks for stopping have a great day!